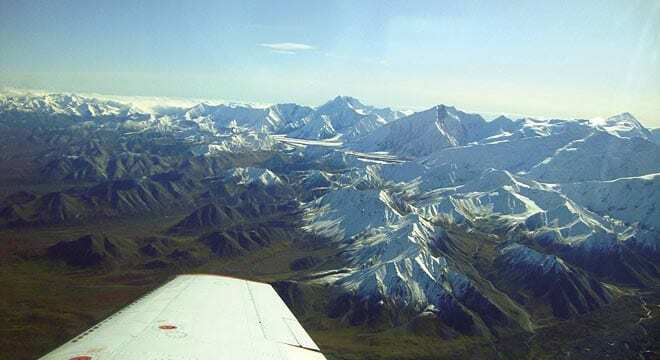 Perched at 7,200 ft (2,195 m) elevation, Kahiltna Base Camp is the starting point for the majority of climbing expeditions in Denali National Park. The camp houses people from all over the world, especially during May and June. It is affectionately nicknamed the “Kahiltna International Airport”, thanks to the many planes that visit the camp each year. 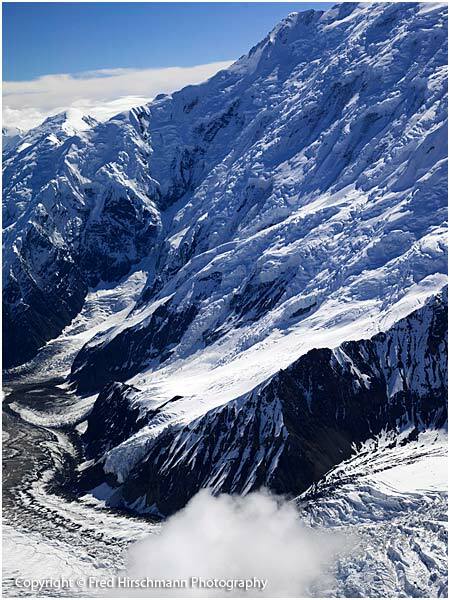 Named for a famous Alaskan bush pilot, the Amphitheater is a glacier-filled bowl a third of the way up Denali. 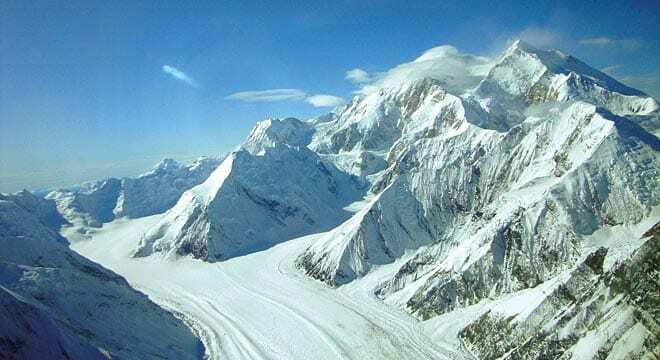 With an ice-sheet surface almost a mile thick, the vast, flat landscape means that visitors can catch a great view of the surrounding mountains. 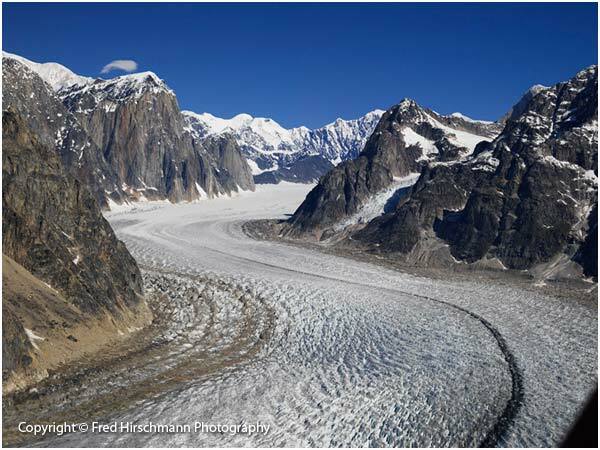 10 miles (16 km) from Denali, Ruth Glacier cuts a breathtaking picture into the Alaskan landscape– quite literally. 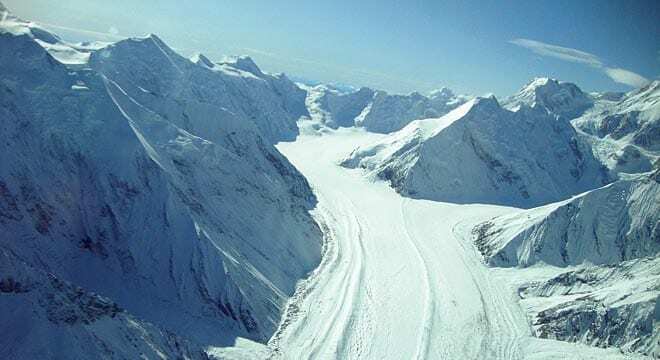 This glacier measures 3,800 ft (1,158 m) deep, and many of our glacier landings take place here. Over time, the Ruth Glacier has carved into the surrounding granite to create these picturesque stone walls up to 5,000 ft (1,524 m) above the glacier’s surface. 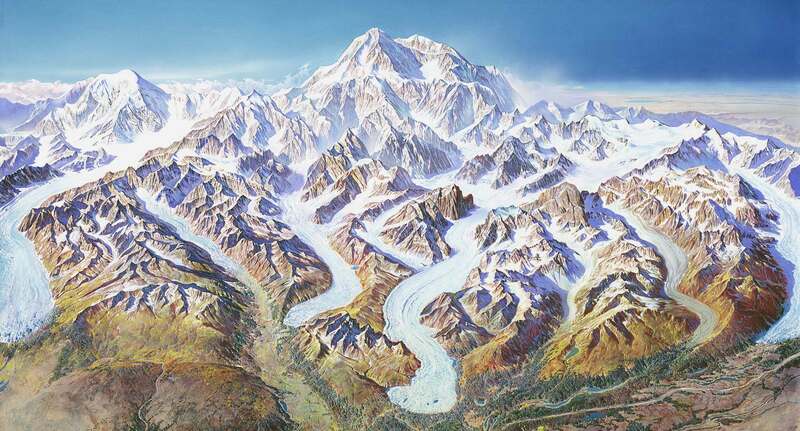 Also known as McKinley Glacier, this ice mass was once believed to be the only survivable route up Denali. 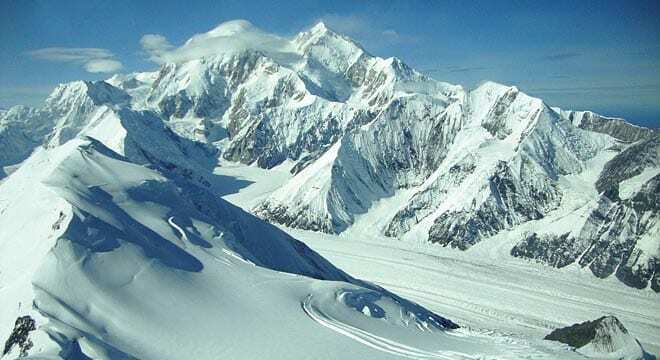 The first landing by ski plane on the glacier was made by Joe Crosson in 1932. 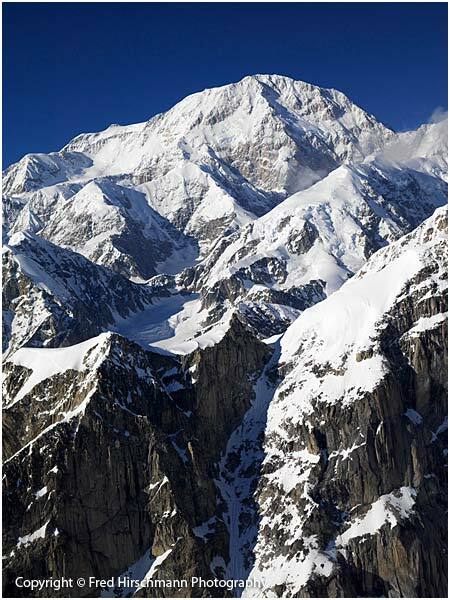 An attempted climbing route up Denali, named for Judge James Wickersham, who led a team on the first attempt for the summit in 1903. The original Wickersham and his team only reached 10,000 ft (3,048 m) up the sheer face. 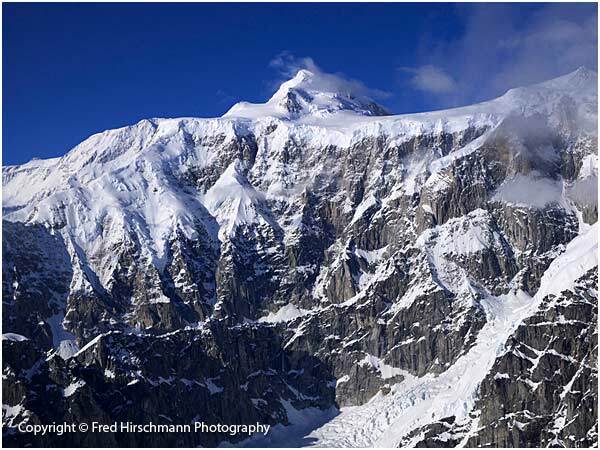 Today, Wickersham Wall stands as a 13,652 ft (4,161 m) continuous drop. 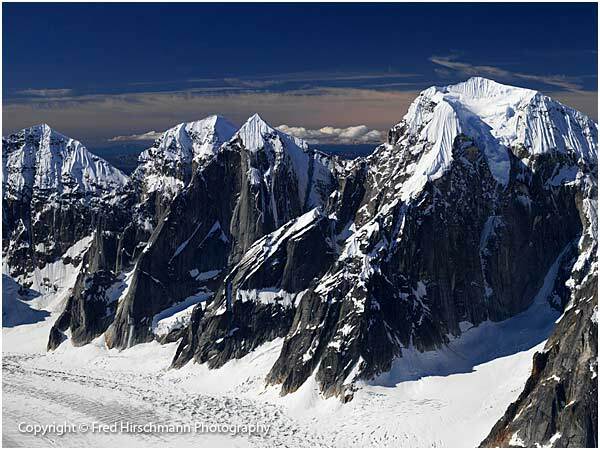 A route to Denali’s summit, the West Buttress was pioneered by famous photographer Bradford Washburn in 1951. 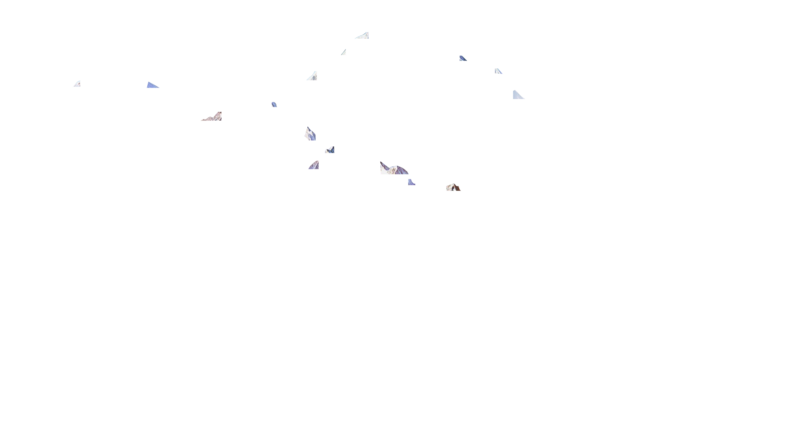 Today, the Buttress is the most popular route up the mountain. Seeing the park from the air provides you with an idea of its sheer size. Standing on a glacier surrounded by towering granite peaks, visitors gain an understanding of the immense scale of the Alaska Range. 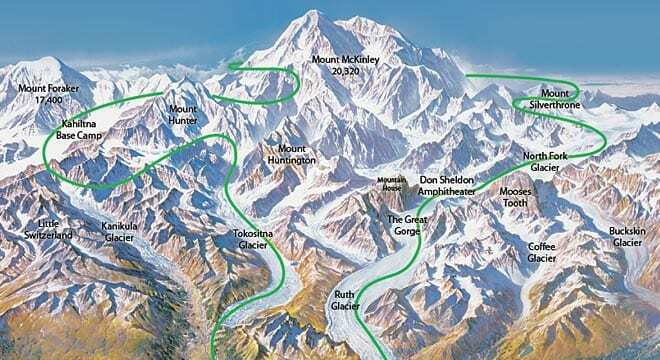 This route includes the Denali Experience and Flyer routes, letting you see all sides of “The Great One”. 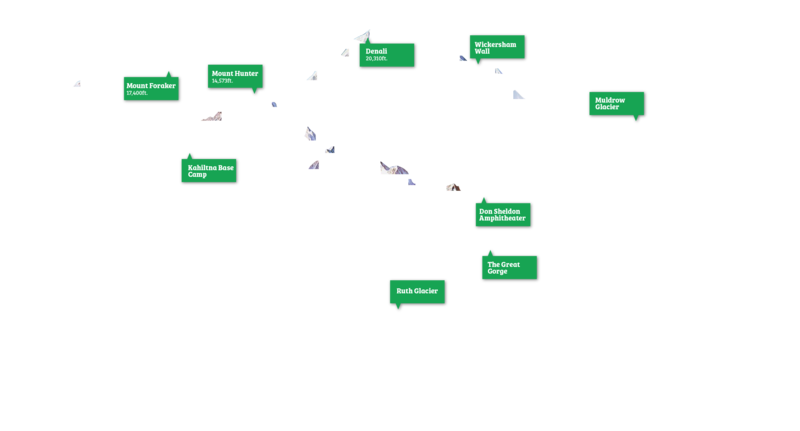 You’ll get an in-depth look at the routes used by Denali’s first pioneers, including the nearly 14,000 ft (4000 m) Wickersham Wall. Gaze down on Kahiltna Pass, and the Peters, Muldrow, and Traleika Glaciers far below. On flights that include glacier landings, we supply GORE-TEX® overboots to keep your feet warm and comfy. We have many departures throughout the day for both glacier and non-glacier landings. We are open 7 days a week from 7 a.m. to 9 p.m.
We suggest you layer your clothing; it’s easy to pull layers off. A light jacket is usually suitable during the summer. For the colder seasons, we suggest a mid-weight jacket, long pants, closed-toe shoes, and sunglasses. These rates are guaranteed from May 1 – September 15. For smaller parties outside of these dates, please contact our office. 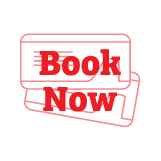 Deposits for all trips are fully refundable for cancellation due to weather. Cancellations within 48 hours will result in forfeiture of deposit. Most visitors bring still and video cameras, and a memory card with lots of space. Be sure to charge your batteries before your flight; you won’t want to forget this experience!